San Francisco became the largest city in the United States to allow noncitizens to vote in a local election today — but few newly enfranchised residents were ready to take the city up on the offer. After months of outreach and over $300,000 spent on a new registration system and efforts to educate prospective voters about the new program, a total of 56 noncitizens registered to vote in today’s school board election. Supervisor Sandra Fewer, who supported the move to allow noncitizen voting, said she’s not surprised given the Trump administration’s rhetoric and action on immigration. Fewer played a key role in securing funding for a robust campaign to educate potential voters about the risks associated with the program. “We had to make sure every voter is an informed voter,” she said, noting that despite its sanctuary designation, the city cannot guarantee privacy in this case. Voter registration information is public. “We hope it will not always be so,” she said of the low participation, but made clear she’s not daunted. “It is never a failure to expand the number of people who have a right to vote, to encourage people to be involved in the political system. It is never a waste of money to give people more information about voting, and about voting rights." Community organizers see benefits to the program beyond voting. Hong Mei Pang of the advocacy organization Chinese for Affirmative Action says the education campaign encouraged parents to get involved in their children’s schools in all kinds of ways, from questioning candidates for the school board at forums, to joining PTAs and English Learner Advisory Committees. She had a different take on the numbers. As Pang sees it, "Fifty-six people showed tremendous political courage." For the first time in California history noncitizens, including undocumented immigrants, can now register to vote in upcoming school board elections in San Francisco. In November 2016, San Francisco voters approved Proposition N, authorizing noncitizen voting in school board elections. Two previous attempts to do so failed at the ballot box. To be eligible, a noncitizen must not be in prison or on parole for a felony conviction, and must be a parent, legal guardian or legally recognized caregiver of a child under the age of 19 living in San Francisco. The city joins the few around the U.S. to grant undocumented immigrants limited local voting rights. The practice doesn’t extend to state and federal elections. The move could be significant in a school district where one in three students come from immigrant families. 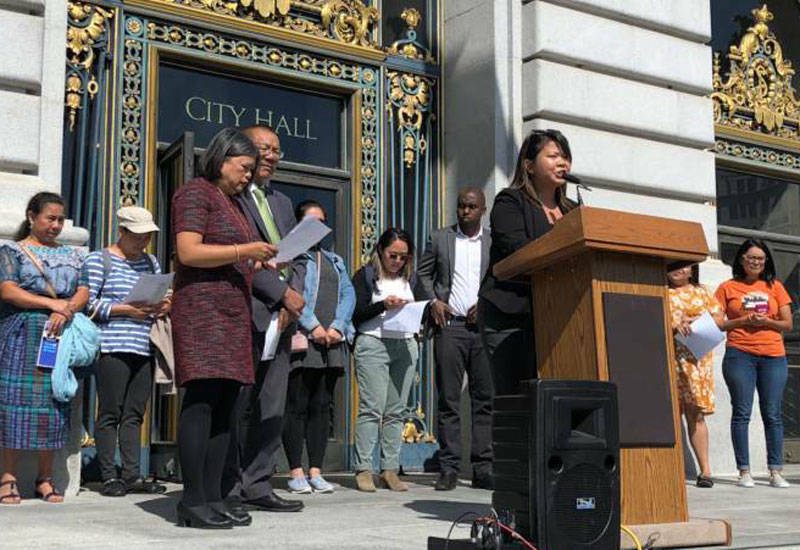 Dozens of parents, politicians and community activists gathered to celebrate the opening of voter registration for noncitizens in front of City Hall on Monday. 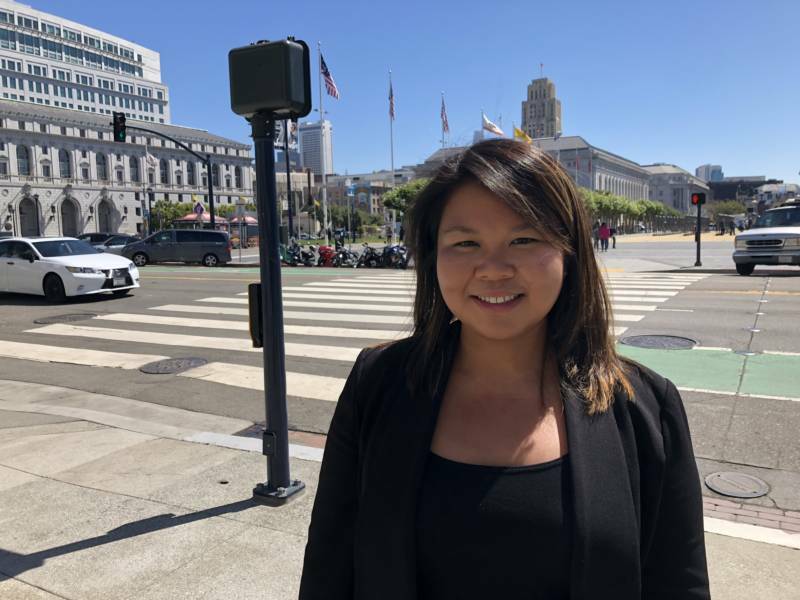 "Many of our public school families have come to the U.S. for opportunities like a free public education," said San Francisco Supervisor Sandra Fewer, one of the key supporters of the legislation. "It is only right that they would have a say in who will be governing the education of their children." Immigrant mother of two Ruiyi Li came to the U.S. from mainland China four years ago. 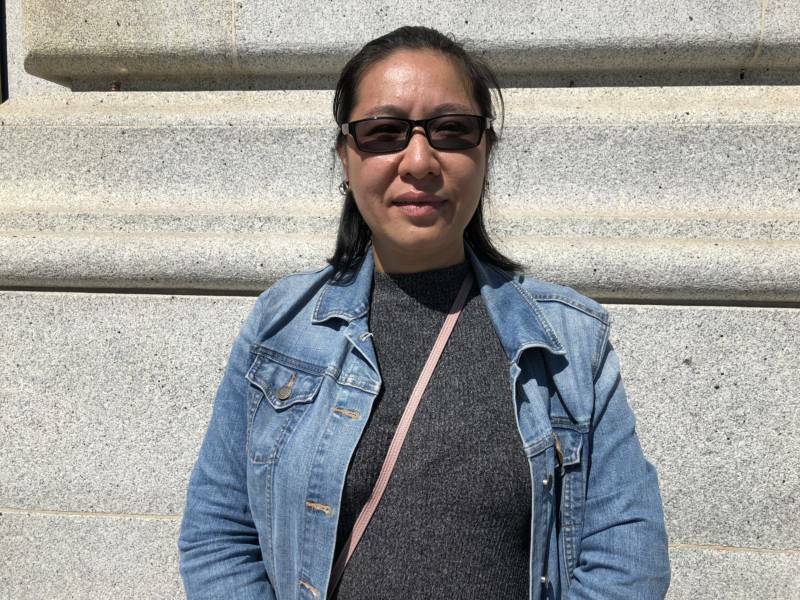 She told KQED in Cantonese through an interpreter that being able to vote will improve her kids’ education. "I want my kids to have the best education that they can have," Li said. "I believe that it is important for parents to be part of this whole process to fight for as much resources as we can get." For noncitizens, registering to vote comes with risks. "There's a lot of concern regarding the federal government obtaining the personal information of voters who would register as noncitizens," said San Francisco Department of Elections Director John Arntz. To help mitigate this reality, Arntz said the city has allocated $150,000 to help provide community outreach around the new legislation. Voter registration information is available in 48 languages online. Arntz said San Francisco's Office of Civic Engagement & Immigration Affairs is working with a set of local immigration support groups to provide advice and information for noncitizens, including those seeking to find out if their status might be potentially harmed by registering to vote. One such support group is Chinese for Affirmative Action (CAA). "Given the political climate, it's so important that voters are aware that this visibility to the federal government is present," said Hong Mei Pang, director of advocacy for CAA. "How it would affect their immigration situation differs from family to family. So our work is really making sure that community members are aware and that they are making the best decision they can for their families." For her part, Ruiyi Lee said she plans to get advice from community support groups like CAA, before deciding whether to go ahead and register. But right now she’s excited about the prospect of casting her ballot in November. 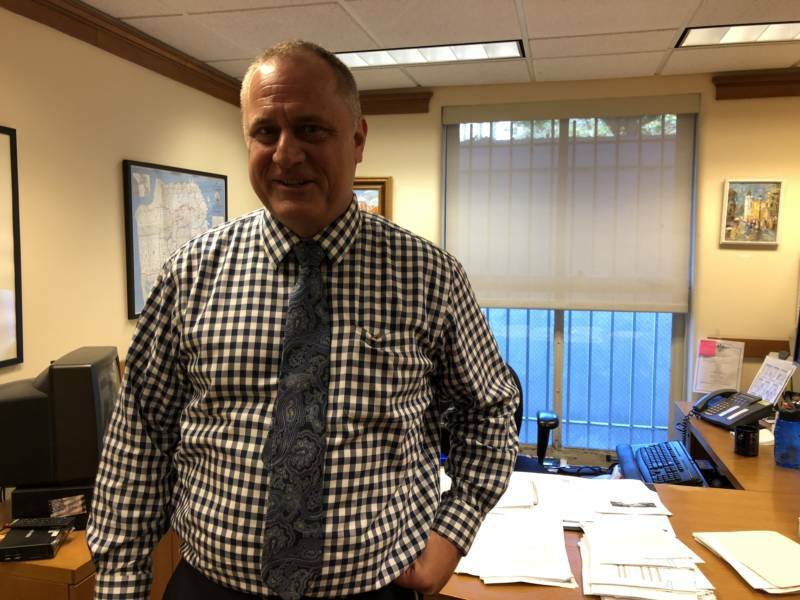 "At the end of the day, the choice is yours to assess that risk and to decide whether or not this is the right time for you to register to vote," Lee said. "The important thing is that right now, we actually have a choice to make, the right to choose."